FAMILY COMMUNITY OWN A HOME FOR LESS THAN YOU WILL PAY FOR RENT . 3 BR 2 BA HOME IN COTTONWOOD HEIGHTS . 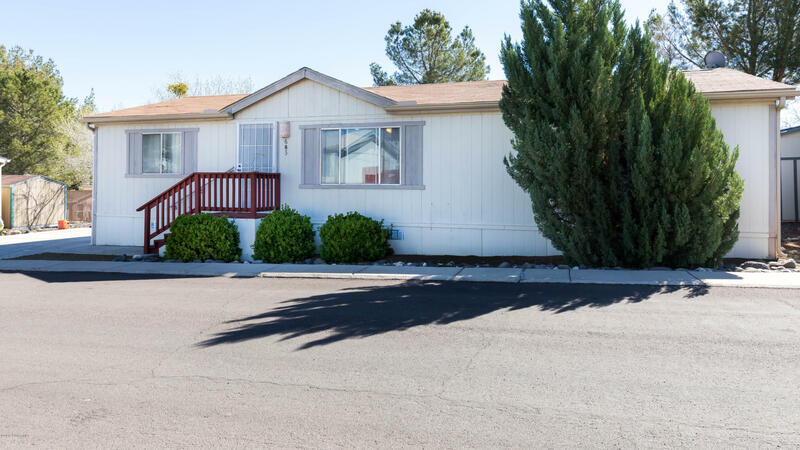 LOT RENT IS $450ROOF IS 2 YEARS OLD FENCED YARD SHED NEWER APPLIANCES AND FLOORING PUBLIC TRANSPORTATION We are centrally located close to medical facilities, shopping, dining and plenty of outdoor activities. Sedona and Jerome are a short drive away. People in the area enjoy a beautiful half hour drive to Prescott for additional shopping and dining experiences. Old Town Cottonwood offers quaint restaurants, wine-tasting rooms, unique shops, and it is a great way to spend the day with friends and family.